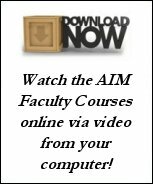 American Institute of Mediation : AIM Institute : Articles : Voluntariness in Mediation: An Historical Perspective! Voluntariness in Mediation: An Historical Perspective! A dispute resolution process is either voluntary or it is not. There are many forms of ADR that are designed to be mandated. Mediation, by definition however, is voluntary. Mediation has been around in family law and community programs for over twenty years, and it has been performed by elders in villages throughout the world for thousands of years. Sometime during the mid- to late-1990's, the courts agreed that mediation might be an effective tool for settling general civil cases. There is much confusion surrounding the courts' recent penchant for mandating mediation. There is also confusion about the notion of an "expectation" to participate in "good faith" in mediation. Expecting any length of attendance or any level of performance at mediation is contrary to the definition. It also directly contradicts new California Rule of Court, Rule 1620.3, and the tenet that any person can leave a mediation at any time. Furthermore, an experienced mediator with strong training will be able to help each party at the table find their incentive to continue in a productive negotiation toward settlement. If the parties do not have such an incentive, it is useless for a court or anyone else to force them to continue participating for any predetermined, randomly selected amount of time. To the extent that a court calendars a time frame within which the mediation must take place ("Completion Date"), it may be forcing a case to the mediation table before the parties have completed the discovery necessary to settle the case. This may doom the process to failure. Perhaps the confusion about "court ordered mediation" in civil cases began when the legislature passed Senate Bill 401 in 1993. This resulted in CCP §1175 allowing courts to begin ordering smaller cases to mediation in lieu of judicial arbitration. The mediators backed this bill for the purpose of exposing litigating parties to the effectiveness of mediation in resolving these types of matters. CCP §1775 was introduced as a Judicial Council four-year pilot program to be tested in the over-crowded Los Angeles Superior Courts. The local community of mediators agreed to volunteer their services for this limited period of time in order to 1.) demonstrate the effectiveness of mediation; 2.) allow the Judicial Council to compile statistics on party satisfaction; and 3.) allow the Judicial Council to measure real cost savings to the court as a result of actual court time saved, both in clerk and hearing time. SB 401 read, "This bill would require all courts in Los Angeles County, and authorize other courts, to implement a prescribed program of mediation of specified civil matters, where the amount in controversy does not exceed $50,000. In courts providing judicial arbitration, the bill would authorize an alternative referral for mediation under the bill. The bill would require the Judicial Council to adopt prescribed rules for mediation and to submit a report to the Legislature on alternative dispute resolution programs by January 1, 1998. The above provisions of the bill would be repealed without further action of the Legislature on January 1, 1999." The plan from the start was that the report to the Judicial Council would demonstrate the cost savings to the courts and the litigants, and that both would be convinced that mediation was something of tangible value. The expectation was that after the four-year "free trial", litigants and courts would conclude that the cost of participating in mediation was, in fact, more cost effective in the long run and would begin taking more cases to the mediation process voluntarily, or to allowing courts to "refer" them to private mediation. The reason for mandating the process during this pilot period was because of the concern that parties and their counsel would otherwise resist this new program, and that the Judicial Council would not receive enough data to support its study of the value of mediation. Coupled with the constraint that the courts have a policy against ordering parties to do something that is going to increase their costs, they asked the mediation community to accept cases for the same fee as the judicial arbitrators, which in Los Angeles County Courts meant working for free. The mediators agreed, considering it an investment in the future of commercial mediation in civil cases, and in order to allow the courts to expose this effective process to the litigants. The plan was that court-annexed mediation would complement judicial arbitration in cases $50,000 and under, allowing the courts to clear their crowded calendar of the smaller, largely auto personal injury, cases. The hope was that litigators and insurance companies would see the value in mediation and would opt to go to mediation voluntarily in cases over $50,000, and would see the wisdom in paying for an experienced, professional mediator. The irony is that the court's pilot program was a success! So much so that when the pilot program was to end a couple of years ago, the trial lawyers lobbied to continue mandating it beyond the planned obsolescence of mandated mediation. They backed an eleventh-hour bill in the legislature that removed the sunset provision of the pilot program, leaving us with an open-ended timeline on mandatory mediation. This was never the intent when the program was conceived. The order to mediation, however, must be examined in closer detail. One of the tenets of mediation is that it is a voluntary process. CCP § 1775 says, "In the event that the parties to mediation are unable to reach a mutually acceptable agreement and any party to the mediation wishes to terminate the mediation, then the mediator shall file a statement of nonagreement." The CDRC Standards of Practice for California Mediators say, "any participant may withdraw from mediation at any time." Additionally, mediation confidentiality clearly precludes anyone at the mediation reporting to a court as to whether any participant "participated in good faith". Evidence Code § 1119(c) says, "All communications, negotiations, or settlement discussions by and between participants in the course of a mediation or a mediation consultation shall remain confidential." And § 1121 says, "Neither a mediator nor anyone else may submit to a court or other adjudicative body, and a court or other adjudicative body may not consider, any report, assessment, evaluation, recommendation, or finding of any kind by the mediator concerning a mediation conducted by the mediator, other than a report that is mandated by court rule or other law and that states only whether an agreement was reached..."
Given these clear rules supporting the right of any party to leave a mediation at any time, and the restriction on anyone reporting otherwise, what can the court actually order? Appearance. While judges clearly expect a real effort at settling a case that they order to mediation, they cannot know, and therefore cannot act upon any participant's failure to remain at the negotiation table for any length of time or to negotiate in good faith. By definition, once a participant appears at a mediation, neither the court nor the mediator can order them to stay for any length of time - minimum or maximum. I recently mediated a case that was ordered back to me for a second mediation session over the objection of one of the parties (something the judge has no authority to do). This order reads that the additional mediation session is not to exceed three hours. Obviously, this particular judge does not understand either the mediation process or his or her authority to order a case to mediation. The CDRC Standards of Practice for California Mediators say, "While participants may be mandated to the mediation process, a Mediator may not mandate the extent to which any participant must participate in the process." So, I told these parties on the telephone in preparation for this mediation the same thing that I tell all participants in court-ordered mediations, that they do not need to stay and participate for any prescribed period of time, that they have met the court's order to appear, and they are excused and can leave at any time. I then proceed to tell them that they have my commitment to stay and mediate with them until they have reached an agreement, no matter how long it takes, and that I am going to take their continued presence at the table, as will everyone else at the table, as an indication that they want to keep working to reach an agreement and settle the case, since from this point forward, they are here of their own volition. That is how I handled this case, and two hours after that we had a fully executed agreement, complete with dismissals and releases. We reached that agreement because the participants knew that each other were there because they wanted to settle the case, rather than because the court had ordered them. Mediation works when people want to settle a case. It may also be helpful when the court wants a case settled and the parties are willing to try. But it is wrong to approach mediation from a mandated posture, where people feel like they are held prisoner for a minimum number of hours, or where anyone threatens to tell a judge that a defendant offered $1,000 on a case that the plaintiffs feel has more value. People are entitled to value a case any way they want to. A good mediator will find new information with which to attempt to change their mind, but holding people hostage in a session called a mediation only gives the word a bad name. So for now, as long as the California courts continue to operate in this limbo of an extended 1994 pilot program, which created a confusing oxymoron we call mandatory mediation, the courts will have a temptation to "expect" or mandate "good faith" participation by the parties it orders to attend. Thankfully, they have other processes at their disposal which are designed to be mandated, such as Mandatory Settlement Conferences or a referral to a Special Master. Using these other processes will allow them to avoid confusing the laws surrounding mediation with such a contradictory concept as "mandating good faith" participation in a voluntary process.